Flipkart Big Billion Days is as extravagant as the name makes it sound, and the e-commerce giant has been serving us with some jaw-dropping deals on smartphones, laptops, electronic appliances, and various other product categories. We’ve been trying to help you stay up-to-date with the best offers, but let’s take a break from the deals and see how the Big Billion Days sale has performed in terms of numbers. 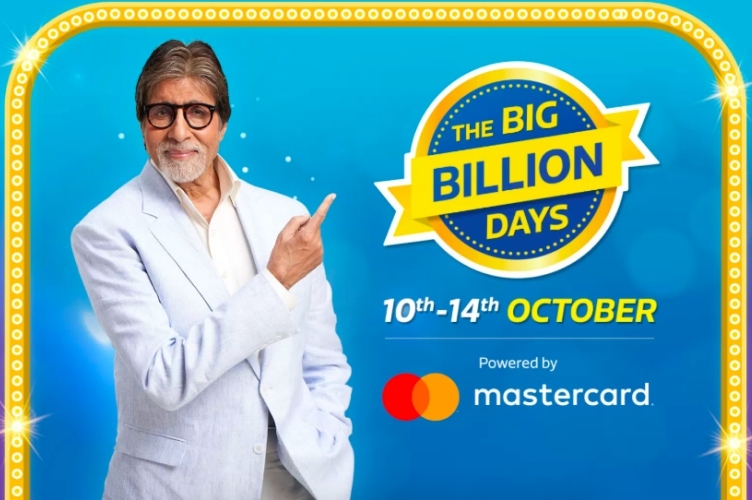 All of the crazy discount offers, Flipkart says, has helped them achieve a major milestone and they’ve already matched the overall business from last year’s 5-day Big Billion Days sale within just 26 hours this time around, which sounds insane! The platform is also said to have seen a record inflow of 1 million concurrent users on the app, with 99.9 per cent uptime. Flipkart sold the highest number of smartphones in a day in India, with over 3 million devices sold in a day. Flipkart boasts that 1 in 4 TVs sold on October 10 was bought on its platform, which is a never-before-seen sight in India. It also shows how brands like Xiaomi, Vu, and iFFalcon are disrupting the TV market in India. You can check out the best Smart TV deals right here. Another interesting tidbit of info shared by Flipkart is that Google Home overtook Alexa over the past two days, which means the hefty discounts on Google Home speakers are working out well. Big Billion Days sale also witnessed the sale of 3 headphones every 2 seconds, 1 laptop every minute, and the company’s MarQ washing machines are selling out pretty fast as well. Flipkart recently introduced its own consumer loyalty program Flipkart Plus, and it had given users early access to the hottest deals during the Big Billion Days sale. They’re said to have driven 30% of all purchases on the platform to date, which surely is a large number. These are just the figures for the first couple days of Flipkart’s sale event and it’s got till October 14 to improve on these stellar results. You can check out the best deals for the Big Billion Days right here.